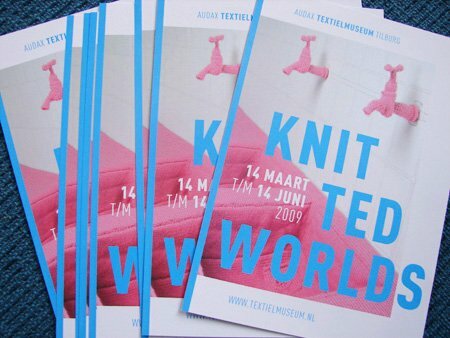 March 14 – June 14: Grannittin features in Knitted Worlds, an exhibition in the Audax Textile Museum in Tilburg. It’s an exhibition about knitting in modern art, experimental fashion, photography and video from European and American artists. Knitted worlds is curated by Suzan RÃ¼sseler. Update: Knitted Worlds has a weblog.